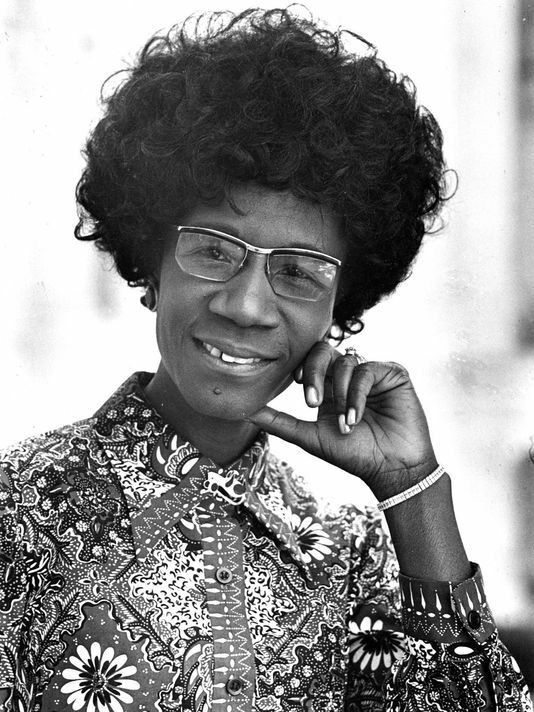 Shirley Chisholm (1924-2005) is an African-American pioneer and most well-known for being the first black women elected to Congress as well as the first black woman to win a presidential nomination for a major party. She worked under the Education and Labor Committee and was one of the founding members of the Congressional Black Caucus. Chisholm is an icon, she was a black woman who occupied space in a place that told her to be small, be quiet. She was initially assigned to the House of Forestry Committee, but when she demanded reassignment (unheard of for a black woman) she was placed in the Veterans’ Affairs Committee and eventually entered the Committee of Education and Labor where she retired. In honor of Black history month, we’ve decided to build a modern take on Shirley Chisholm’s style. A powerful women, who strutted into every space pattern after pattern, look after! Shirley is my given name, but Ley is what they call me. In this crazy political climate, a woman like me has to state her claim. As of now I am a legal assistant at Obama & Associates, while being an activist for social change. I also have a podcast called “Peace Under Pressure,” which enlightens minorities on the prevassivness of systematical oppression. But most importantly be on the lookout for my announcement for presidential candidacy in 2032 because if they don't give you a seat at the table, bring a folding chair.